"The Duke and Duchess of Sussex are very grateful for the goodwill they have received from people throughout the United Kingdom and around the world as they prepare to welcome their baby," the statement read. "Their Royal Highnesses have taken a personal decision to keep the plans around the arrival of their baby private," it continued. "The Duke and Duchess look forward to sharing the exciting news with everyone once they have had an opportunity to celebrate privately as a new family." This statement seemed to confirm at least one of the rumours, which was that they won't be doing the photos of parents and newborn royal on hospital steps that both Diana and Kate Middleton obliged us with. Apparently, Meghan is opposed to the pressure of making herself look picture perfect so soon after giving birth. She's averse to the idea of the broodmare being put on public parade, it seems, and this is entirely in keeping with what we know of Meghan to date. One thing we know is that Meghan, no matter what she does, cannot win. The "Me-gain" nasty nickname apparently bestowed on her by palace staff. The idea that she has Harry under some sort of spell. The notion that she'll do more damage to the royals than Diana ever did. These are impressions that she can't shake off and against which she just can't win. However, another thing we've come to grasp, slowly, is that winning against the begrudgers and bad-mouthers is of no consequence to Meghan. She's not in it for the kind of popularity enjoyed by Kate Middleton, or to fit in, or to keep the courtiers sweet, thus keeping them from muttering darkly about her to the press. Meghan is about the message, and the message sent by last week's baby statement is possibly the most significant that she and Harry have sent. And, it is, possibly, the kind of stance that will do Meghan the world of good, in the long run. We breach our own privacy, that of our families and children and newborn babies apparently without the slightest consideration or concern, and deaf to any warnings that it might be something we'll come to regret. This, perhaps, is Meghan's big move. On a micro scale, it could be read as simply part of a rumoured ongoing rejection of all royal convention, into which also fits the rift with William and Kate, the move out of Kensington Palace, the reported dropping of Harry's old chums. Instead, however, the manner in which Meghan, with Harry, is managing their baby's birth could mean much more than that. There's a tendency to now perceive Meghan Markle as a woman whose marriage into the royals gave her purpose and position. In fact, Meghan Markle had set herself up as a woman of purpose and position before that. Through her blog and her various campaigning, she was always someone keen on making a difference. The blog is gone now and she is in many ways constrained by her marriage, but this baby and the style of family she shapes around it could actually help Meghan to make her mark. And Harry, too, of course. Let's not forget Harry. His recent attack on the game Fortnite and the manner in which social media is making addicts of our children takes him into similar territory to his wife. He is also now making a mental health documentary with his wife's good friend, Oprah. Harry, of course, has long desired and requested privacy since his mother's death. Now, with Meghan's strength of character for support, he seems rather braver in staking his claim on it. 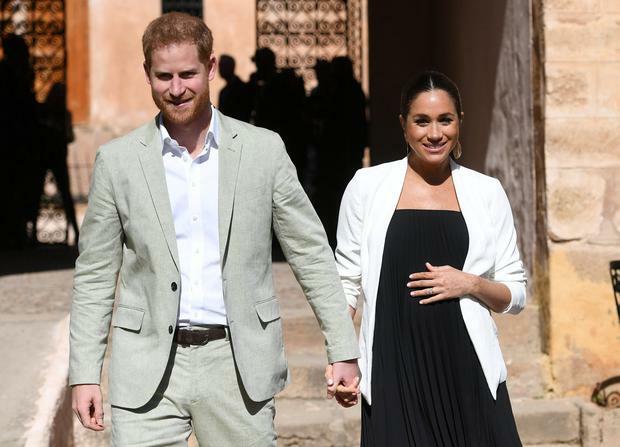 It started with the news that the Duchess of Sussex wasn't keen on having at her birth the team of obstetricians who assisted in delivering William and Kate's three babies. Meghan, it was said, didn't want a traditional, male- dominated experience, which fit with her world view as we know it. It was pointed out that Queen Elizabeth was born at home, as were her own four children, but we're more enamoured of the images of Diana and Kate in their floaty dresses, hair coiffed and eye bags nicely concealed. Thoroughly modern Meghan doesn't necessarily care if everyone likes her though. After all, what good did being beloved do for Diana in the end? Staking a claim to the privacy of her birth and baby, sees Meghan make her first proper stand. And it's one that might well prove the making of her.